Fashion has always been a big passion of mine & FRA allows me to embrace it in a very fun & playful way. So you can follow all my fashion adventures & witness all my ups & downs through all the looks. After all, i don't intend to be flawless. Cause being perfect is pretty boring! I normally do not follow fashion trends (at least i like to think that), so I buy stuff and dress it according to my own taste and in a way that makes me feel good and makes my body look good. And it's how everybody should embrace fashion, in a way that makes you feel happy with yourself, and have a great time doing it, playing with colors, different fabrics, acessories. 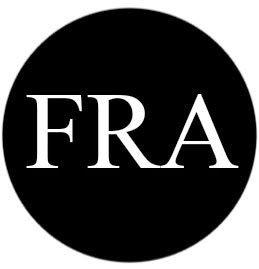 FRA couture started as a casual creative pursuit, while I was finishing my Master thesis in Architecture. And for me it was a get away, because it allowed me to abstract from the real work ahead of me. At first I was affraid to start it, but my friends encouraged me and their support was the most important thing that made me create my own fashion blog. And I trully thank then because its been a bless to try to create this brand that represents me, my style and approach to fashion. Now I’m entering a new fase in my life, because I just finished my studies and I have to figure out what to do or where to go next. Try to find my place in the world, maybe in London, Paris, Berlin or even maybe in Rome. I do'nt know what the future has in store for FRA, but for sure I'll continue to show you guys my daily outfits choices and have fun doing it. And hopefully you will all continue to follow my foolish & crazy fashion journey and get inspired to embrace your own style!